The polar regions have the capacity to amaze and astound, but despite the considerable progress of recent decades we still know far less about them than less remote parts of the world. 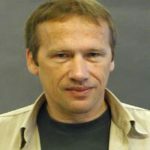 PolarGAP is an ambitious international mission to capture new and critical data about the Earth’s global gravity field. 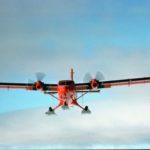 Innovative radar systems and Lidar technologies will also be deployed from Twin Otter aircraft to fill the ‘data gap’ in measurements of surface elevation over the South Pole region south of 83.5°. 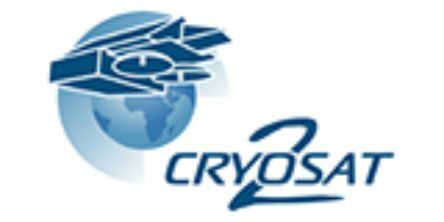 Two earth observing satellite missions (GOCE and CryoSat 2) mounted by the European Space Agency (ESA) revolutionised scientists’ ability to ‘map’ the Earth’s global gravity field and monitor how Earth’s ice fields are responding to global change. However, because GOCE’s orbit did not cross the Poles there is a data gap at the South Pole. 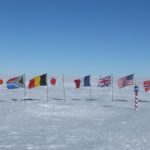 The PolarGAP project will collect new gravity data and combine them with datasets from other Antarctic missions to build the first accurately constrained global gravity model. 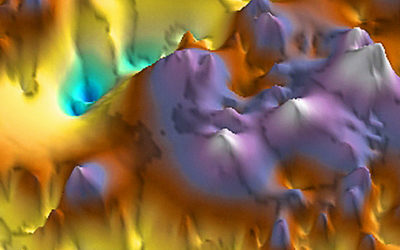 This is essential as global gravity data provide unique information on mass distribution and transport in the Earth System, linked to processes and changes in the Solid Earth, hydrology, cryosphere, oceans and atmosphere. Key applications of gravity data include geodetic studies (levelling and mapping), navigation (GPS/GLONASS) and satellite orbit planning. 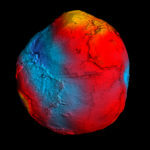 This ESA video showing the GOCE geoid deviations in height (–100 m to +100 m) from an ideal geoid. The blue shades represent low values and the reds/yellows represent high values. The aircraft mission and deep-field work are challenging. 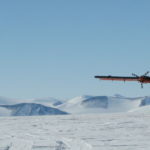 Using experience and expertise in aerogeophysical data collection, together with extensive logistical capabilities, the British Antarctic Survey (BAS) teams, working in partnership with experts from the Technical University of Denmark (DTU), Norwegian Polar Institute (NPI), with logisitical support from the US National Science Foundation (NSF), will explore one of the key frontier regions in Antarctica – an area that has rarely been before been seen, let alone studied. 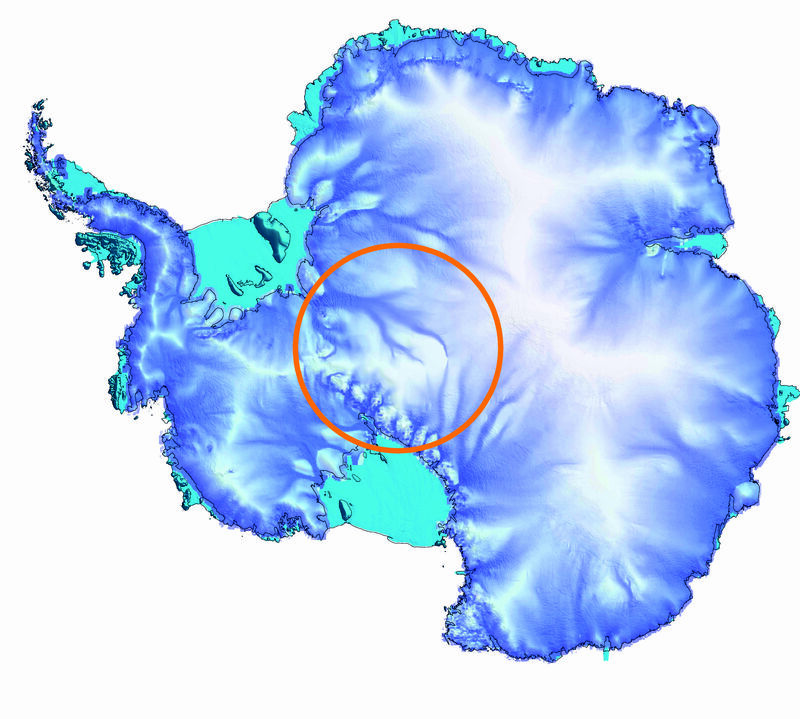 The orange circle show the area where there is a gap in satellite gravity data coverage in Antarctica. 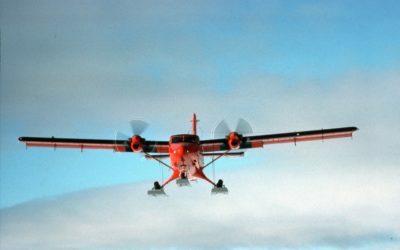 New airborne survey data, combined with data from other international data gathering missions will fill the gap. 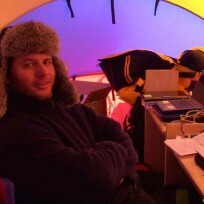 The field team will face harsh and challenging conditions working from two remote field camps high up on the East Antarctic Plateau. 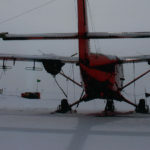 Additional flights will be carried out from South Pole Station to complete the survey. 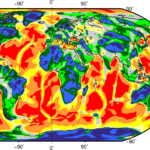 The main focus of the PolarGAP project is to provide new high-resolution gravity data for global gravity and geoid models (the Geoid is a model of the Earth’s surface that represents the mean global sea level). 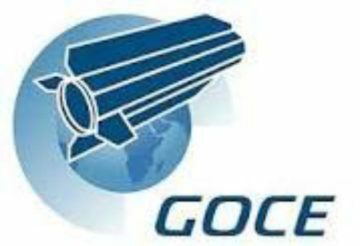 These global geodetic models have been revolutionised in terms of resolution and coverage by satellite gravity data. However, the satellite orbits do not track over the poles, leading to significant gaps and potential errors in the global models. Airborne gravity data provide the key bridging dataset completing these global models. Improved geodetic models are critical for a number of applications ranging from improved planning of satellite orbits, to better definition of surveying datum’s. 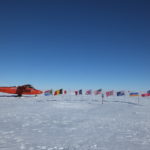 Fill the Antarctic polar gap in GOCE satellite gravity coverage through collection of new airborne gravity data and combination with data from existing surveys in the South Pole region. 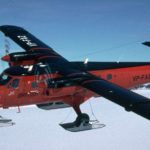 Validation of differences in surface elevation observed by CryoSat-2 when traveling in opposite directions, by using airborne Lidar and the the innovative ASIRAS Radar System to measure the ice sheet surface and structure of the shallow snow pack. 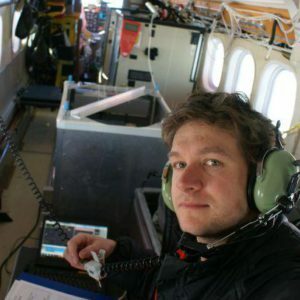 Investigating Antarctic ice sheet dynamics around South Pole using airborne radar to map the sub-ice mountains and valleys, distribution of subglacial water and internal ice sheet structures. 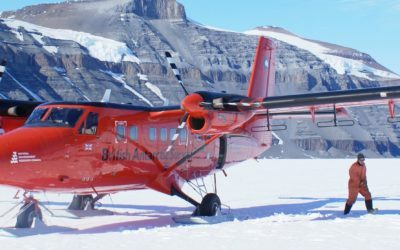 During the PolarGAP survey we will be exploring one of the key frontier regions in Antarctica using a range of geophysical techniques. East Antarctica is a geological composite, made up of a mosaic of tectonic fragments scarred by ancient sutures and cut by rifts. This survey will allow linking between the sparse rock outcrops towards the coast and previous geophysical surveys in the continental interior. 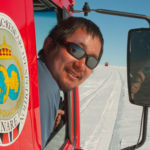 The data will provide unique new insights into sub-ice geology and the evolution of the crustal architecture of East Antarctica, laying the foundations for future research. 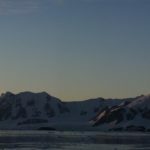 The study area we are targeting includes the catchments of several massive glaciers which link the vast East Antarctic Ice sheet to the potentially less stable West Antarctic ice sheet. Our new radar measurements of ice thickness, subglacial topography, basal water and ice sheet structure will better constrain both the processes operating beneath the ice sheet interior today, and the past and possible future evolution of the ice sheet. 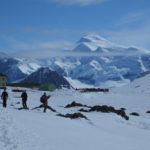 This is particularly critical close to the subglacial Recovery Lakes, which could be a store of water capable of lubricating down-stream ice flow. Our final science target relates to the processes operating on the ice sheet surface. Satellite data shows an unusual pattern of cross-over errors in surface elevation depending on the direction the satellite is orbiting. This pattern is hypothesised to reflect unusual shallow snow fabric developed due to the consistent prevailing wind direction. By flying the ASIRAS radar, an analogue of the space-borne system, over these anomalies we will test this hypothesis. 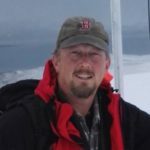 Additional data from a scanning LIDAR system will provide new information about the ice sheet surface, unattainable by satellite observations. T.A. Jordan, F. Ferraccioli, H.F. Corr, R. Forsberg, K. Matsuoka, A.V. Olesen, S. Seddon, T. Casal, 2017. First complete regional view of the Pensacola-Pole Basin from PolarGAP radar data EGU 2017-15902-1. F. Ferraccioli, T.A. Jordan, R. Forsberg, A.V. Olesen, G. Eagles, K. Matsuoka, T. Casal, 2017. Crustal architecture and tectonic evolution in the South Pole frontier, East Antarctica, in light of recent aerogeophysical observations EGU 2017-10710. A. Diez, K. Matsuoka, J. Kohler, T.A. Jordan, F. Ferraccioli, H.F. Corr, A.V. Olesen, R. Forsberg, 2017. New insights on the subglacial Recovery Lakes from airborne radar data EGU 2017-14528. R. Forsberg, A. V. Olesen, 2017. 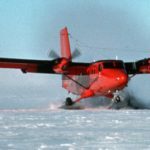 Polar airborne and marine gravimetry in the Arctic and Antarctica. International Workshop “Airborne Geodesy and Geophysics with Focus on Polar Applications“ Dresden, 19-21 April 2017. F. Ferraccioli, T.A. 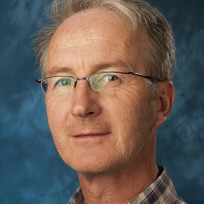 Jordan, R. Forsberg, A.V. Olesen, G. Eagles, K. Matsuoka, T. Casal, 2017. 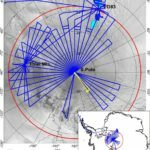 New aerogeophysical views of the South Pole Frontier. International Workshop “Airborne Geodesy and Geophysics with Focus on Polar Applications“ Dresden, 19-21 April 2017. A. Diez, K. Matsuoka , F. Ferraccioli, T.A. Jordan, H.F. Corr, A.V. Olesen, J. Kohler, R. Forsberg, 2017. Revealing subglacial conditions and past flow history of the Recovery Region, Antarctica using airborne radar data. International Workshop “Airborne Geodesy and Geophysics with Focus on Polar Applications“ Dresden, 19-21 April 2017. R. Forsberg, A.V. Olesen, T.A. Jordan, F. Ferraccioli, K. Matsuoka, 2017. 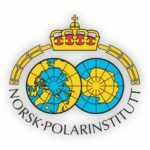 GOCE southern polar gap now closed – results of the ESA Antarctica PolarGap project.  Fourth Swarm Science Meeting & Geodetic Missions Workshop. F. Ferraccioli, R. Forsberg, T.A. Jordan, A.V. Olesen, K. Matsuoka, T. Casal, 2016. 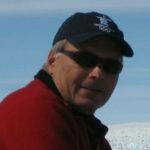 New aerogeophysical survey explores the South Pole Frontier, SCAR 2016 Kuala Lumpur. R. Forsberg, A.V. Olesen, F. Ferraccioli, T.A. Jordan, K. Matsuoka, J. Kohler, 2016. 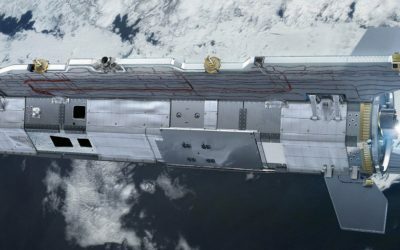 GOCE polar gaps now filled – first gravity results of the ESA PolarGap project. ESA Living Planet Symposium 2016. Ferraccioli, F., Forsberg, R., Jordan, T.A, Olesen, A.V., Matsuoka, K, Casal, T., 2016. 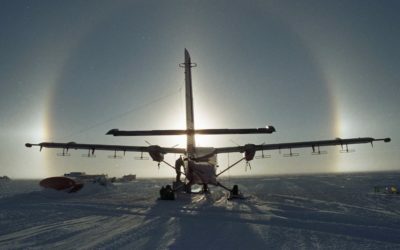 New aerogeophysical survey targets the South Pole Frontier, 35 th International Geological Conference, 27 Aug- 4 Sept 2016, Cape Town South Africa, Session 16, T41.P5, # PB133. T.A. Jordan, F. Ferraccioli, R. Forsberg, K. Matsuoka, A.V. Olesen, 2016. 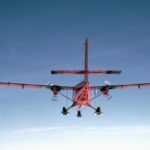 New aerogeophysical survey targets the South Pole Frontier. 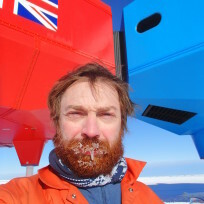 UK Antarctic Science conference 2016.